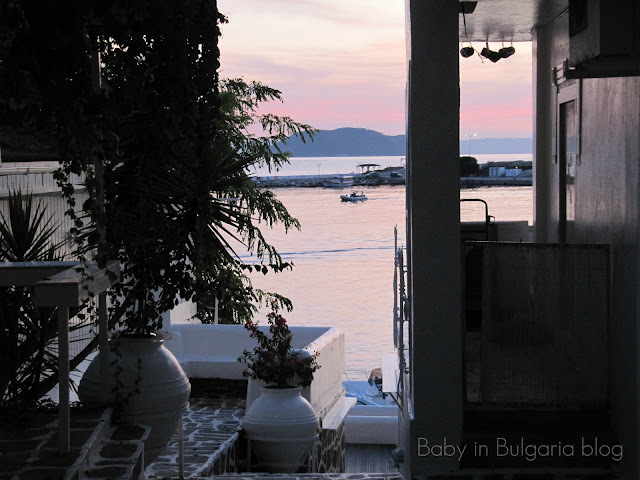 Today's guest post comes from Lauren of Baby in Bulgaria. If you're anything like me, a wanderer at heart, you'll love hearing about her adventures of not only living abroad but traveling abroad as well. Hello friends of Sweet Green Tangerine! 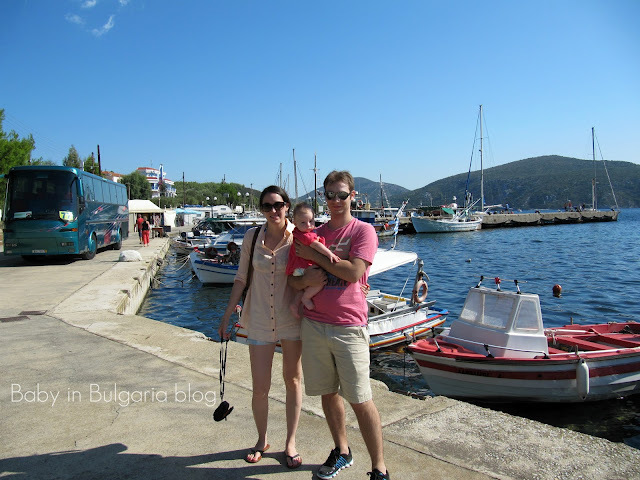 My name is Lauren and I blog over at Baby in Bulgaria. I'm so happy to be a guest on Jessica's blog today! When Jessica asked me to write about a favorite from 2011, I immediately knew what I wanted to share- my favorite vacation. Last September, one of my travel dreams came true when I went to Greece. Actually, my in-laws made this trip possible. For their 25th wedding anniversary they took us all to Halkidiki. Luckily, since we live in Bulgaria there was no plane ride involved, just a good, old fashioned road trip (Greece is Bulgaria's neighbor to the South). This was our first vacation with our then 5 month old baby girl, Francie. Dipping her feet in the sea for the first time, letting her curl her toes in the warm sand, these are memories I hope never to forget. For two glorious days we relaxed on the beach and forgot all our worries. We ate freshly caught fish from the sea and sipped on sweet ouzo. And on our way back to Bulgaria we stopped in Thessaloniki and explored the city on foot. Greece was not quite as exotic as I'd imagined, but it was absolutely beautiful. We can't wait to go back someday (maybe in 2012!) Hands down, my favorite trip in 2011. Lucky you living close enough to drive to Greece! I am always so jealous of Europeans, you have so much right at your doorstep! If you are looking for a change in family vacations, you have a lot of options. Here are some ideas for how you can enjoy your next vacation.